Family flew out last night leaving me alone for a few days. So the annual process begins where I don’t sleep much and try and hike a few mountains. However, this year — I have a purpose! 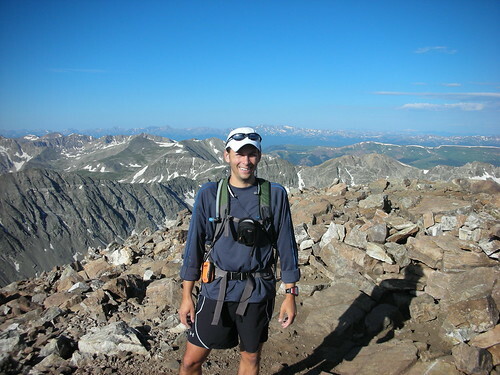 With the Pikes Peak Marathon only 2 weeks away, I can use the opportunity for some high altitude training. I originally was just thinking of going down to Pikes and running the course but that would take the fun out of race day. 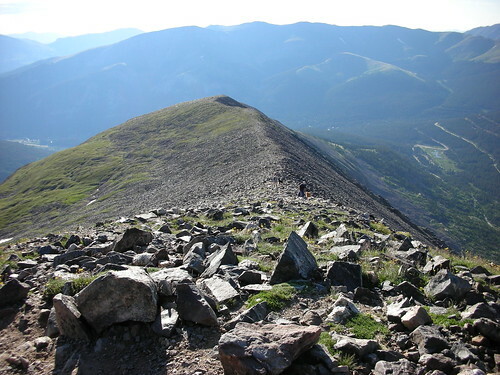 So I decided to see if I could nail a one or more easy 14ers — something class 1 most of the way so I can get my run on. 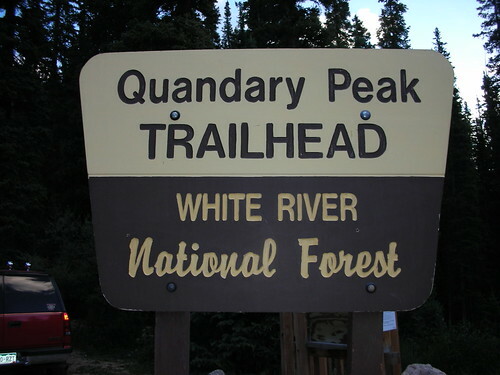 Enter Quandary Peak — known as one of the easiest 14ers in the state. Its “easy” because its all class 1 to the top and lots of people do it. 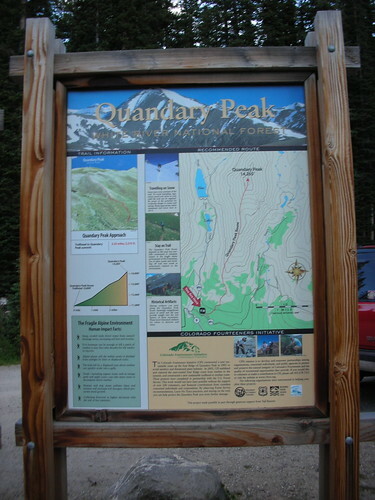 Drove out there and found the nicely marked trailhead. Got there about 6:30 AM after the 2 hour drive. Only going on about 3 hours of sleep but I felt just fine. Upon my arrival, I saw why they call this trail a “highway”. There were dozens of cars there. The small lot was full and cars were just parking up and down the road. When I finally finished and came back to my car, there were cars everywhere. Looked like a concert or a party was going on somewhere. Anyway, with the goal being to get some high altitude miles in, it was time to start running. The first 1/2 mile sucked and I didn’t run hard. The next mile opened up a bit and was much better. 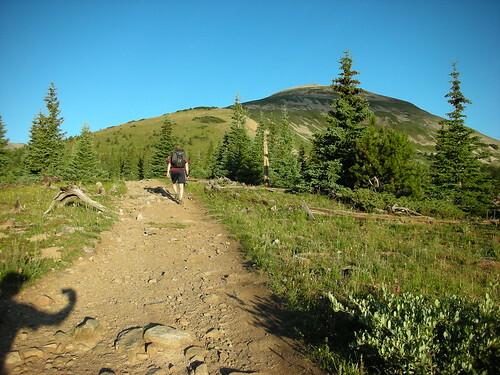 When I was back at the car getting started, I saw numerous hikers setting out. I was just jamming tunes and gearing up. I take forever. However, with me running, I was able to zoom past all those folks in the first mile. 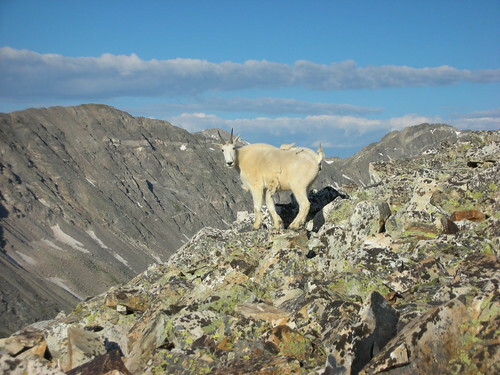 I remember years ago thinking “that dude is crazy” when some runners passed me on Grays Peak. Now here I am the runner. 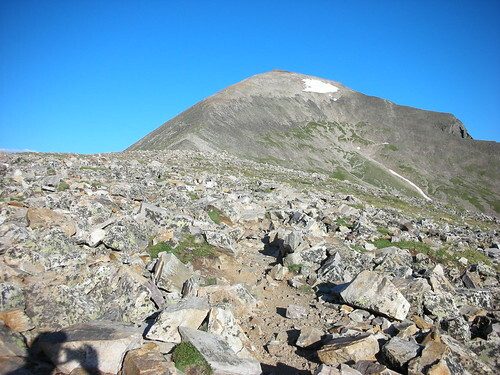 And with this being a “beginner” 14er, all the hikers were like “that dude is crazy”. It made my day. Then finally started breaking out of the trees. You can’t see the summit here. That just the top of the ridge. I kept running pretty consistently until I got up to the ridge. Then the rock pile started. The trail wasn’t too clean through there and had lots of steps. So I moved into power walking and carried on. 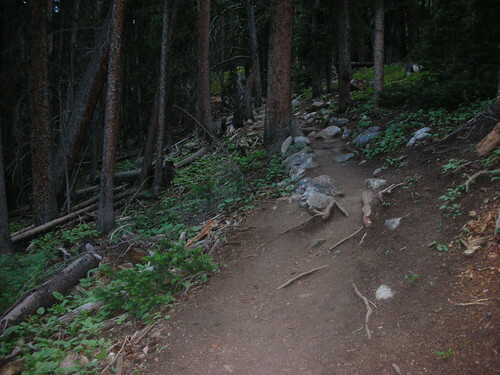 I am figuring a lot of walking up Pikes once it gets going. This is looking back down to where I came from. You can see Highway 9 zig-zagging below. Well, here is the view up from there. Not exactly pavement. Then from the distance, I spotted a local. I kept going up the trail and he kept checking me out. Finally, we got to the same point. Just after the sighting, I popped over and up onto the ridge. 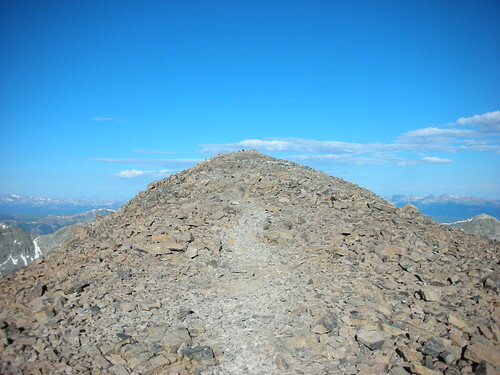 The summit is finally in view. This is the part you love to hate. Still got away to go. I ran across the ridge and then looked back for this shot. That tip out there is where I took the last shot from. Now going up the final 1,000 foot climb. Final ridge and there is the summit in the distance. Got windy and cold here so I stopped for a wardrobe change. Need long sleeves. Brrrr. Fine! Some proof that this is really THIS mountain. The pictures all look the same to you don’t they? The view from the top was “standard” amazing. The cool part was that you were in the middle of the eastern range. 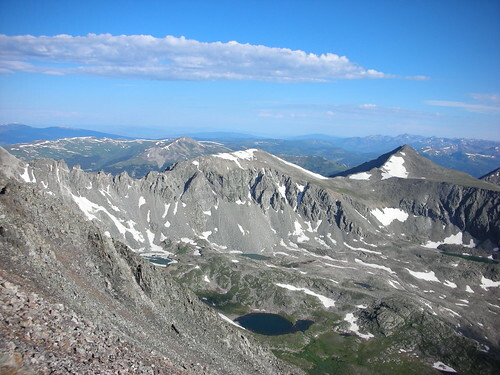 So you could pick out Grays/Torreys to the NE, then see Leadville with Massive and Elbert. Nice placement. Well, after leaving later than a bunch of people, I think I was the 2nd guy up there today. It was a 3,407 foot gain over 3.13 miles and I got up it in about 94 minutes according to my watch. That felt pretty good. Better performance than ever before but I had hopes of running it more. The trail just wasn’t right. I spent all of 5 minutes on the summit — too windy and cold — and then headed down. 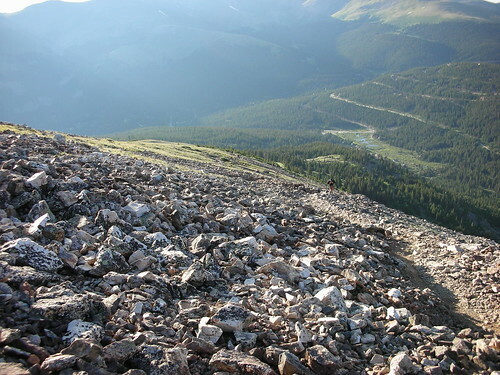 I decided I could run down all those rocky parts so I did my best mountain goat impression and started moving down. On the way down, I passed maybe 100 people that were headed up. I was keeping pretty good speed although a few rock slides were happening behind me. It was fun to run by the groups — big ego booster. One guys stopped to ask me how many days a week I run that trail. Never been on it, sir! He said I looked good. Smile. Many other groups would make comments after I passed like “that guy is already done and coming down!”. Nice. I am no mountain super star but I felt like one with all these folks commenting on my descent. 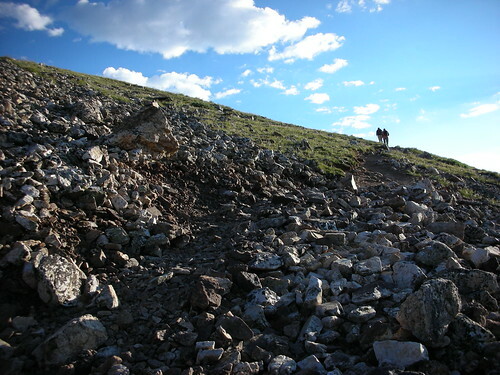 Instead of yielding, I would often just go off course through the uncharted rocks. Wasn’t too different from the trail. Felt wild. Ok…so I kept descending and ended up back down in 60 minutes total. So 94 up, 60 down for a total time of 2:34. When I hit the truck, it almost seemed like too much of a drive (4 hours round trip) for just 2.5 hours of running. Almost thought about going back up but my inner voice told me that isn’t in our best interest. Been there, done that. 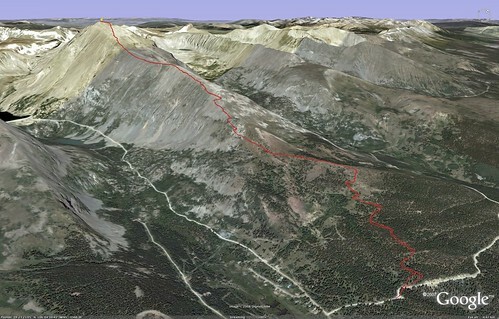 Here is a sat map of the route from Google Earth. Straight up! Had my SPOT transmitter on the whole time. 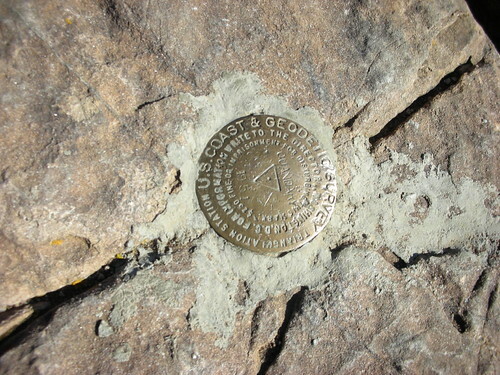 However, it never registered an OK till I hit the summit. I think its really picky about its GPS signal. 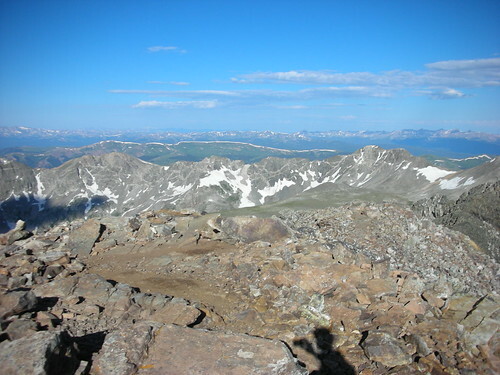 So I force an update on the summit and then at the ridge, then at the finish. 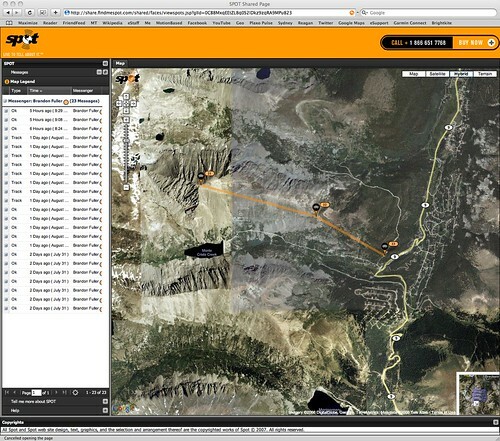 Here is the screen capture of the spot web page in case you missed it. Why didn’t you check on me? Got back home, ate some tacos, and now I am thinking about a nap. Lazy! View all photos for this event.